Rebecca pays homage to Charlotte Brontë’s Jane Eyre (1847). However, unlike its antecedent, Rebecca brings the ‘other woman’ to the fore and focuses more directly on the relationship between the supposed heroine and the woman she has replaced. The narrator (she never gives her name) is living as a paid companion in Monte Carlo when she meets the newly widowed and rather fetching Maxim de Winter. After a brief courtship, Maxim proposes and whisks his young bride back to his country estate, Manderley. While the narrator is enchanted by her new home and its sprawling gardens, she is also overwhelmed. She believes herself too young and gauche to be mistress of Manderley, especially when every room is filled with reminders of Maxim’s first—and seemingly perfect—wife, Rebecca. However, Rebecca is not who she seems, and even in death she wields frightening, vengeful power. Rebecca is the perfect gothic romance told through heightened language that is rich in symbolism and foreshadowing. The opening pages, recalling the narrator’s eerie dream journey through the abandoned estate where ‘nature had come into her own again and, little by little, in her stealthy, insidious way had encroached upon the drive with long, tenacious fingers’, set the tone for a fairytale gone wrong. So while there are romantic moments that set the heart a-thumping (ie: when Maxim reveals his terrible secret then, brooding in the library firelight, asks: ‘Will you look into my eyes and tell me that you love me now?’), it’s clear from the beginning that a force greater than love is driving the narrative towards its unhappy end. Like the narrator, I was 21 when I first read Rebecca. The fantasy of an unremarkable girl swept off her feet by a rich, handsome man, made mistress of a large country estate with exquisite gardens and library held great appeal. As did the idea of a tormented hero who needed a woman’s love to overcome the horror of his past. But I was also old enough to understand that this is an unhealthy, unrealistic fantasy, and I revelled in the fairy tale gone wrong. For much of the novel the narrator depicts herself as a pale character struggling to assert her identity against the overwhelming ideal of Rebecca. Her growing obsession with the dead wife and the power play between the two women is an externalisation of the narrator’s inner struggle. She must decide what kind of woman she will be, and her dual fascination with and abhorrence of her own unacknowledged desires are embodied by Rebecca. Reading Rebecca again as a newly married woman (also like the narrator) I found it a very different book. While the romance and the suspense are still thrilling, it was the questions around female identity that I found most intriguing. This struggle is evident in the narrator’s desire to be a good wife to Maxim, and her dual fear of and obsession with Rebecca. As a new wife, I too am torn between wanting to be the perfect partner—to ‘nest’—and the desire to remain independent and pursue my career and interests. 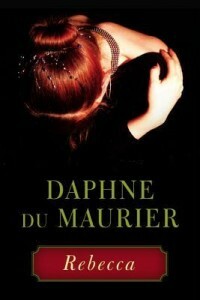 As in Rebecca and for du Maurier, I often find balancing these desires a struggle. Rebecca is a rags-to-riches fairytale gone awry, but also a story of identity and duality. For both these reasons, it is a narrative that continues to resonate strongly, especially with twenty-somethings who are in the process of deciding what kind of women they will be. In the 21st century, when we are expected to be perfect lovers, mothers and successful workers, a woman’s struggle to reconcile with who she feels she is, what she is capable of and who society expects her to be is even more relevant than it was in 1938. Get your copy of Rebecca here! This entry was posted in Arts, Books, Opinion and tagged books, books you should have read by now. Bookmark the permalink.